Australia’s education diplomacy seems to have become a disposable commodity, if the decision of the Morrison Government to terminate the Endeavour Leadership Program is any indication. Endeavour has fallen in favour of a scholarship program to encourage domestic and international students to study in regional Australia. Granted, governments are elected to make such difficult decisions. In this case, boosting regions has won favour but at what cost? Little over a month ago 2,095 Australians were allocated overseas study and research grants, starting from $2,500, and 387 international leaders were awarded the opportunity to further their knowledge and research in Australia. If the Government is returned on 18 May this will be the last cohort of people and institutes, here and abroad, to benefit from the program. The transformative power of a global experience for students is well documented and it’s no less true for TAFE students. TAFEs tell stories of students stepping on to planes for the first time, being the first in their family to be issued a passport, or learning a few words of a language they never thought they would need, thanks to Endeavor. Most importantly, students are exposed to world leading vocational practice – music production at Hans Zimmer studios in the US, batik fabric practices of Indonesia and large-scale hospitality in China. Closing Endeavour closes these opportunities for Australian VET students. The New Colombo Plan (NCP), the Government’s flagship mobility program, is open only to Australian university students. Student loans for overseas study is also restricted to higher education students. Australia has a proud history of achievement in international affairs, made the more remarkable by our antipodean disposition. Doc Evatt as the only Australian to serve as president of the United Nations, Kevin Rudd’s efforts in establishing the G20 in the wake of the GFC financial meltdown and Tony Abbott and Julie Bishops fronting Russia over the downing of MH17 are just some of the remarkable contributions to global order by Australia and Australians. These are not happenstance. They come from our global perspective. Early agricultural trade, receiving migrants from across the globe and powering the world from our rich resource base. We love to take on the world – we count our Olympic medals with pride. We are the 14th largest economy in the world yet the fifty-third most populous nation. We depend on global trade, as our domestic consumption is not big enough to sustain our businesses in the face of low consumer prices brought in part from global trade. In the face of the $32 billion international education exports bring to the Australian economy it is hard to see why $30 million per annum has been sacrificed. Diplomacy underpins exports. This decision will be remarked upon in international education circles across the world and stands in stark contrast to the attitude of other countries. Earlier this year, Canada announced a ground-breaking new outbound student mobility program, to prepare Canadians with the intercultural skills to compete in a global marketplace – all post-secondary students, not just those at Canadian universities. The value of such programs is not lost on Labor. Tanya Plibersek in her speech earlier this year to Universities Australia spoke of the value of outbound mobility programs, including the Asiabound short term mobility grants. In that same speech, Ms Plibersek promised to revitalise Australia’s international education strategy with a stronger role for TAFEs. Let’s hope the balance between education diplomacy and education exports is taken into account. Australia’s six dual sector universities have proposed a re-shaping of funding arrangements for tertiary education that would remove the barriers and distortions between universities and vocational education. The reform blueprint proposes a common income contingent loan scheme, the Commonwealth assuming responsibility for funding diploma and advanced diplomas, and a new agreement between the Commonwealth and the states on VET funding. The report, Reforming Post-Secondary Education in Australia: Perspectives from Australia’s Dual Sector Universities, says the fragmented higher education and vocational training systems could each be strengthened with a common policy framework and a suite of major reforms. The report recognises that a single national funding system for higher education and VET is “highly unlikely”, given that states would not readily cede responsibility for funding and operating VET. However, it says the Commonwealth and states should make a collective long term commitment to invest adequately and coherently in the sector. The six dual sector universities with higher education and TAFE divisions represented are Charles Darwin University, CQUniversity, Federation University, RMIT University, Swinburne University of Technology, and Victoria University. Collectively they enrol over a quarter of a million students across higher education and VET. The federal government has announced the locations for ten new industry training hubs that will provide skills training in areas of high unemployment. The $58m training hub pledge was contained in the federal budget but the locations were announced yesterday by Prime Minister Scott Morrison and the Minister for Skills and Vocational Education Senator Michaelia Cash. The ten hubs will be in Grafton and Gosford in NSW; Alice Springs in the Northern Territory; Maryborough and Townsville in Queensland; Port Pirie in South Australia; Burnie in Tasmania; Shepparton in Victoria; and Wanneroo and Armadale in Western Australia. They are intended to create partnerships between schools, employers and industries, and ensure that vocational education programs are tailored to local workforce and skills needs. The government also announced that 400 vocational education and training scholarships valued at up to $17,500 each, will be made available from Certificate III to Advanced Diploma level as part of a plan to address youth unemployment. Apprentices became a central issue in the opening days of the federal election campaign, but not in the way that many would have imagined. Instead, it was part of a broader debate around the government saving apprentices’ utes from the threat posed by Opposition leader Bill Shorten’s electric vehicles target of 50 per cent of new vehicle sales by 2030. The Minister for Skills and Vocational Education Senator Michaelia Cash amped up the protest while campaigning on the NSW Central Coast with Prime Minister Scott Morrison. “…what I worry about for people like (apprentice) Johnny is that the car he’s driving today, if a Labor government is ever elected, will not be the car he is driving tomorrow,” Senator Cash said during a visit to an auto workshop . The Shadow Minister for Skills, TAFE and Apprenticeships ridiculed the claim as “absolute drivel”. “I feel sorry for the poor apprentices forced to stand behind her as props,” he said. See ‘They’re coming for your utes? Oh please. Enough with the limp scares’ in the Sydney Morning Herald. Support for the idea of micro credentials was one of the consistent issues raised in an Australia-wide series of forums recently held by the Skills Service Organisation, Australian Industry Standards (AIS). A report released by AIS, Future skilling our workforce: a national conversation, details the key themes from its recent series of skills forums which attracted more than 1100 participants from the VET sector. The report says that the issue of micro credentials, or skill sets, “was raised repeatedly around the country”. It says that while skill sets, are currently recognised within the national VET system, this does not generally extend to existing state/territory and federal funding arrangements. “While there are benefits in utilising these arrangements to meet specific job requirements in a shorter timeframe, there are also concerns that micro credentialing will undermine the existing nationally recognised approach to VET qualification arrangements,” the report says. “Whilst such concerns are valid, the pace of change in technology and evolving nature of job roles demands policy makers establish a contemporary approach to upskilling and reskilling of the existing workforce,” it says. Secondary school students from government and Catholic schools are much more likely to be participating in VET-in-Schools programs than their private school counterparts, according to a new report from the National Centre for Vocational Education Research (NCVER). The study, VET for secondary school students: acquiring an array of technical and non-technical skills, analyses trends in VET-in-Schools programs over the past 20 years and includes participation rates and the types of qualifications undertaken. It says overall participation in VET-in-Schools programs has trended up over the last 20 years from 60,000 students in 1996 to a peak of 257,000 in 2015. In recent years the growth has slowed, and stood at just over 242,000 in 2017, but with significant differences between school systems. In 2017, the participation rate for students in government schools was 36%, compared with 26% in Catholic schools and 17% in independent schools. The study also shows a substantial increase in the proportion of Indigenous students, up from 5500 (3.2%) in 2006 to 14,639 (6%) in 2017. In 2017, there were around 18,000 more male secondary school students than females undertaking VET programs. However, proportionately more females were enrolled in Certificate III qualifications and above. The federal government has announced $17m in funding to enable Tasmanians to start careers in the renewable energy sector, without any upfront costs. While campaigning in the state ahead of calling the election last week, Prime Minister Scott Morrison said the ‘Energising Tasmania’ initiative would support locals to gain the skills that business needs, boosting the economy of regional Tasmania and bringing the ‘Battery of the Nation’ plan to life. “So, we’re scrapping the upfront costs for priority training courses to ensure Tasmanians have the right mix of skills for the future,” he said. The program will focus on occupations in priority skills areas such as project management, civil construction, electro-technology, resource management, building and construction, water industry operations and engineering. David Nagy, the general manager for recruitment and training at South Australian group training organisation, Maxima, has been elected as the new chair of the National Apprentice Employment Network (NAEN). He takes over from John Liddicoat who stood down from the NAEN board last month, as well as from his position as general manager of Novaskill, to take up a new role outside the group training sector. 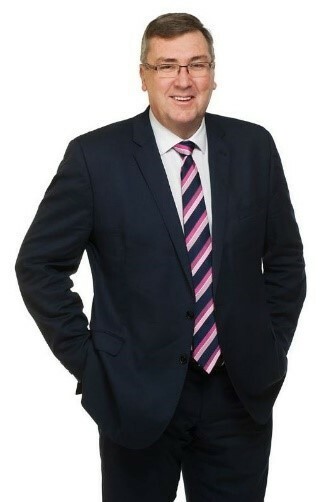 Mr Nagy has been on the board of NAEN since 2018 and is the chair of the Apprentice Employment Network in South Australia. “There is enormous potential opening up for group training as the workforce undergoes rapid technological change and the place of apprenticeships and traineeships takes on a renewed importance,” he said.